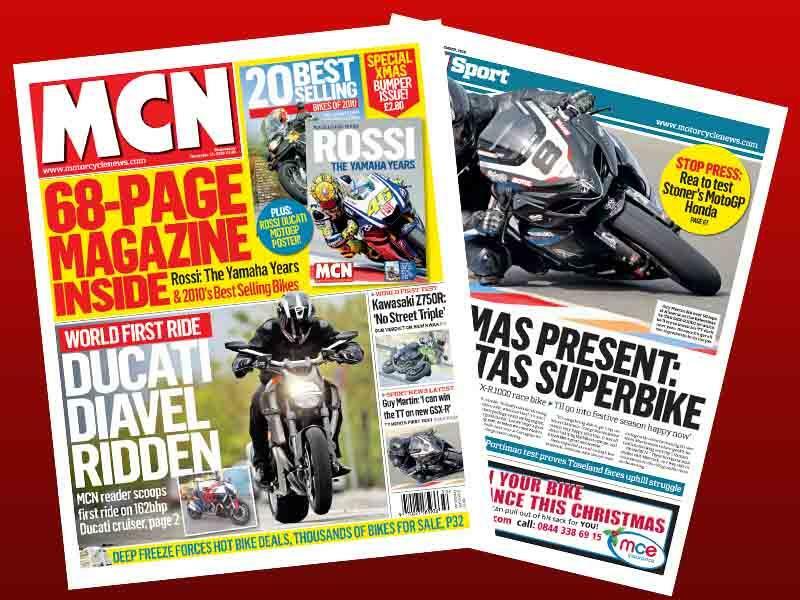 In this week's issue of MCN, on sale December 15, we have two magazines in one with our 'Rossi the Yamaha Years' magazine and our review of the 20-best-selling bikes of 2010 on the other side as a special bumper package..
Also in this week's issue we have the world first ride on the Ducati Diavel. 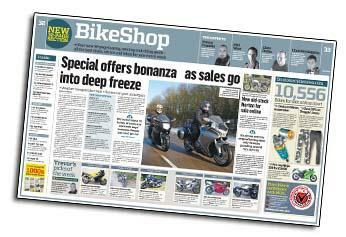 Also in this week's MCN, we ride the new Kawasaki Z750R. 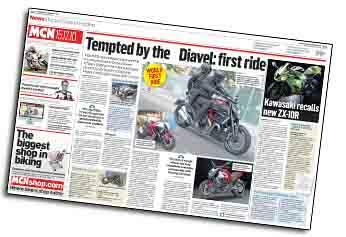 An-ex MCN journalist visiting the Ducati factory in Bologna has cheekily sneaked a ride on the new Ducati Diavel - the first time any non-Ducati employee has ridden the ground-breaking machine. 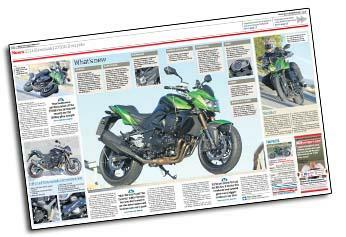 Kawasaki is making bold claims about its new Z750R, we ride the bike to see if it can live up to those claims. The first shipment of the new Honda CBR250R isn't likely to arrive in the UK until February next year but the newcomer has already been launched in south-east Asia. 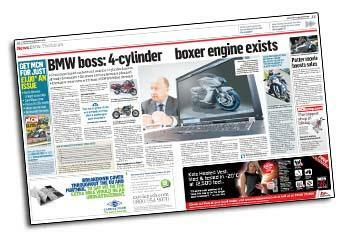 BMW is developing cruisers, scooters and liquid-cooled boxer engines as part of a plan to become an even bigger force in the bike market. 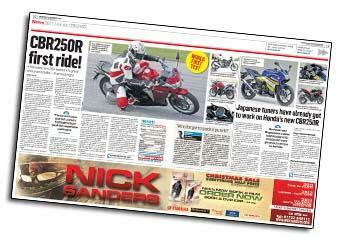 The Suzuki GSX-R1000K1 took superbikes to a new level, but here's how the bar was raised even higher over 10 years. 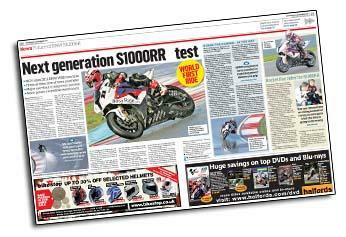 The next generation S1000RR will have more power, more sophisticated electronics and - possibly - revised geometry to give even more rear grip. Snow has been denting business for UK dealers during the current cold snap, with many struggling to attract customers through their doors. 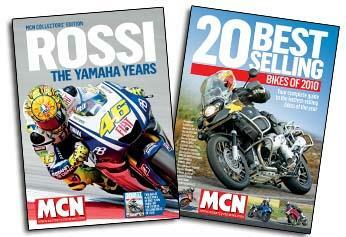 All of which means prospective buyers will be more welcome than ever. 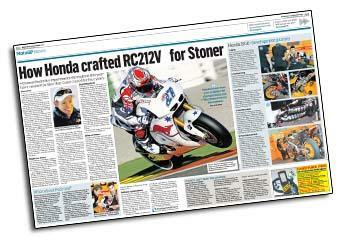 Chassis flexibility experiments throughout this year have created the bike that Casey Stoner craved for four years. 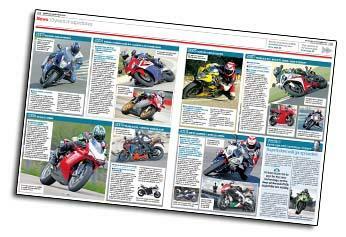 Your favourite paper comes with a special glossy 68-page two-in-one magazine – half devoted to exclusive Rossi features, and the other half crammed with road tests of Britain's top 20 most popular bikes.